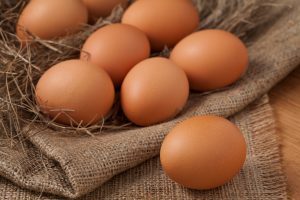 Winter is upon us and egg production tends to slow down in late fall due to the shorter days. Lighting is a huge component to this decrease as well as the temperature drop. A laying hen’s endocrine system is stimulated by light so the shorter days slow egg production or can stop it completely. Some flock owners look at winter as a dormant break for their laying hens. Other owners like to keep the production throughout the winter months. In order to do this, hens need more than 14 hours of light during the day. A nine-watt compact fluorescent bulb is all that’s needed for a typical backyard coop. Plug the light into a timer and have it come on early enough in the morning to give the birds 15 hours of daylight, and egg production will be improved through the shorter days of winter.The light needs to light up the largest area possible. Clean the lamps once a week to keep them clean to output as much light as possible. Start this process in late fall since the lighting changes at that time. Make sure to hang the lamp or bulb up in the coop where the chickens can’t snuggle up to the lamp and singe their feathers. Make sure the light reaches the whole coop and offers heat throughout. Keep the coop dry and clean. The best way to do this is to keep make sure the coop will not have standing water if rain comes. Make sure to replace the bedding with dry bedding each week. Bedding also provides insulation for the chickens. Cover large holes where drafts or critters can enter. Be careful not to cover up all the holes so proper ventilation can occur. Freezing temperatures can freeze up the water source. Think about getting a heated water source or pour fresh water each day. It’s important to gather eggs daily because those can freeze as well. Throw down extra feed or corn before they head to roost at night. This will provide energy and keep them warm at night. Your flock needs some time and attention during the winter months to keep up with egg production. The extra work is worth it! You’ll have a full carton of eggs all winter! Stop by Olsen’s Grain for your heat lamps and bedding needs. This December, Family Rewards members can take advantage of our heat lamps for just $5.99 each. Join our family rewards today and save! This entry was posted on Thursday, November 15th, 2018 at 2:50 am	and is filed under Chicks, News & Updates. You can follow any responses to this entry through the RSS 2.0 feed. Both comments and pings are currently closed.